Gorgeous. Vibrant. Alive. A gift unlike any other. The gift of flowers from The Enchanted Garden Florist. We have served the business district of Chicago since 2000. Proudly serving the Chicago, Illinois area, we're a full-service local florist that is family-owned and operated. We hope you enjoy your online shopping experience with secure 24-hour ordering right at your fingertips. If preferred, you may call us to place orders direct at 312-622-8445 or 1-877-723-6878. Our highly-trained staff is ready to assist you with placing orders for local delivery or anywhere in the world. Not sure what to send? We'll gladly help you with creative suggestions! Delivery to all Chicago neighborhoods and all surrounding suburban areas: including Oak Park, Downer's Grove, Naperville, Oak Brook, and the North Shore. SAME DAY DELIVERY AVAILABLE 7 DAYS PER WEEK. CALL US FOR RUSH OR LAST MINUTE DELIVERY. LOCATED IN THE HEART OF THE MEDICAL DISTRICT - DELIVERY TO ALL HOSPITALS. 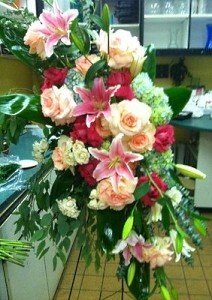 DELIVERY TO ALL LOCAL FUNERAL HOMES. 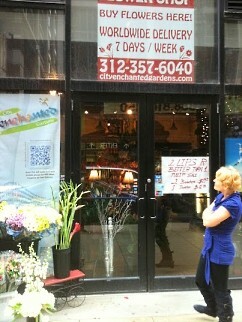 We provide weekly floral arrangements and plant services for many of the businesses in the Chicago area. Companies with corporate accounts receive exquisite floral designs and plant services at a discounted price since services are being provided on a regular basis. Find out more by calling The Enchanted Garden at 312-622-8445 or 1-877-723-6878. 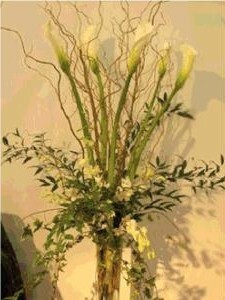 Order your Wedding Flowers and Party Flowers from THE ENCHANTED GARDEN FLORIST. We will ensure your special day is a blooming success!! Call us in advance at 312-622-8445 or 1-877-723-6878 to set up an appointment for a consultation. 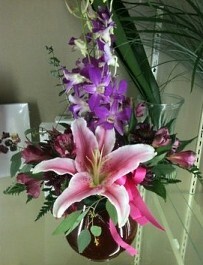 THE ENCHANTED GARDEN FLORIST is open to serve your floral and gift giving needs.